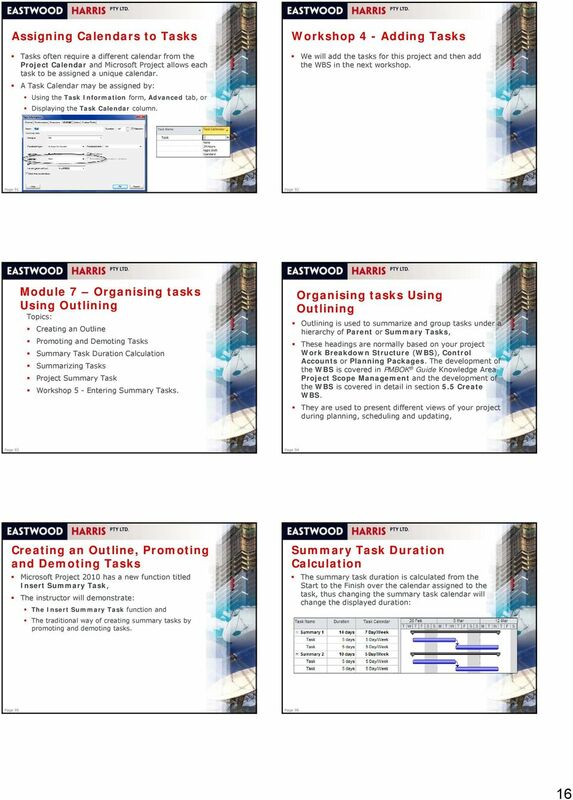 Download "Administration. 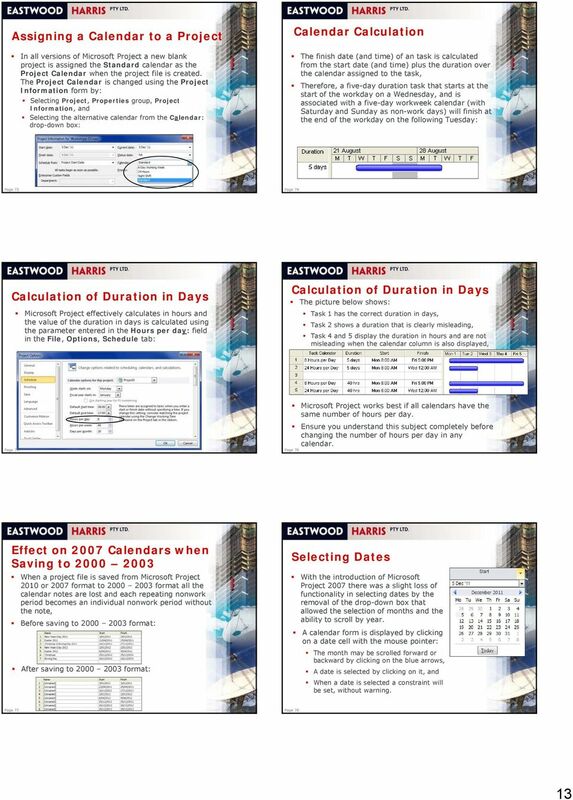 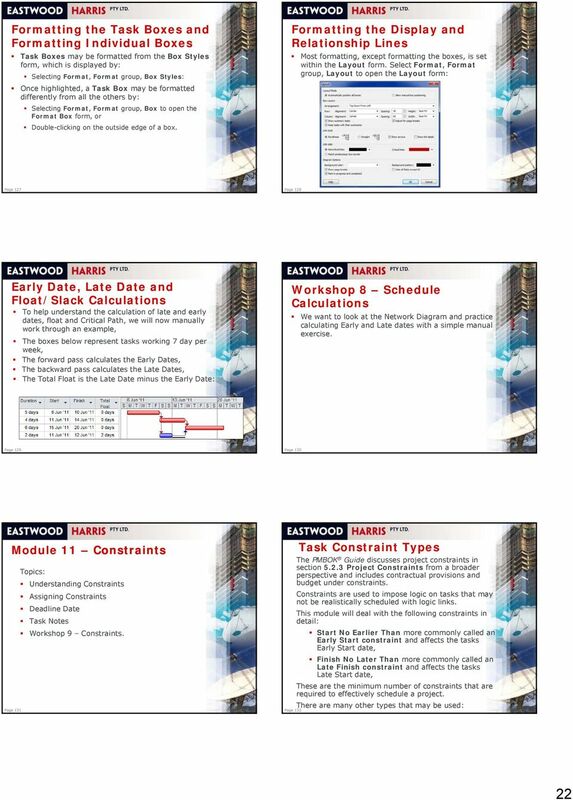 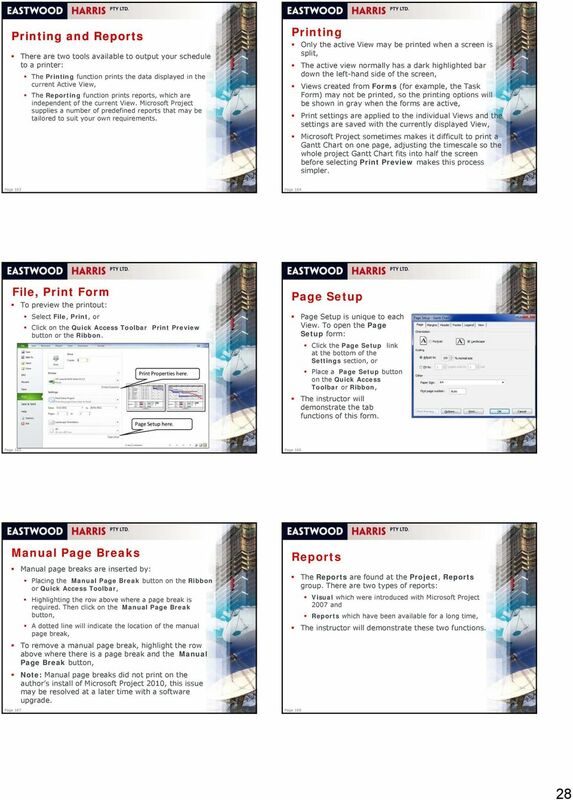 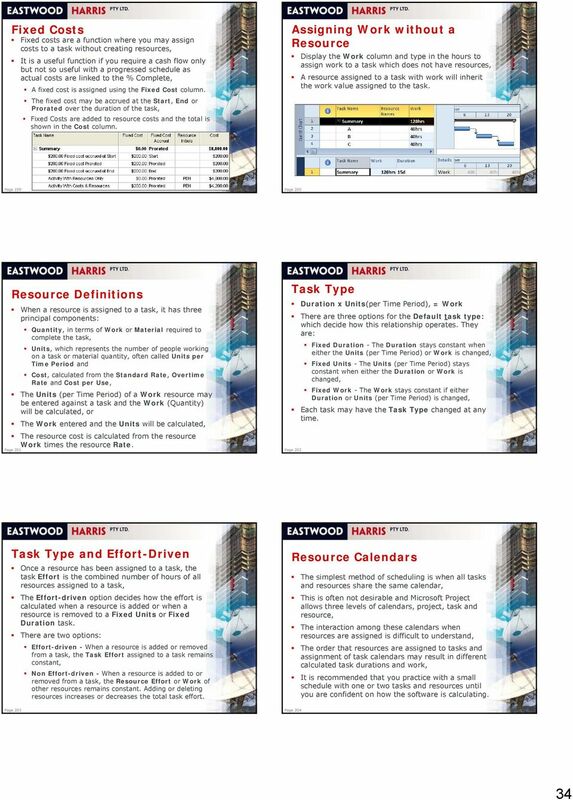 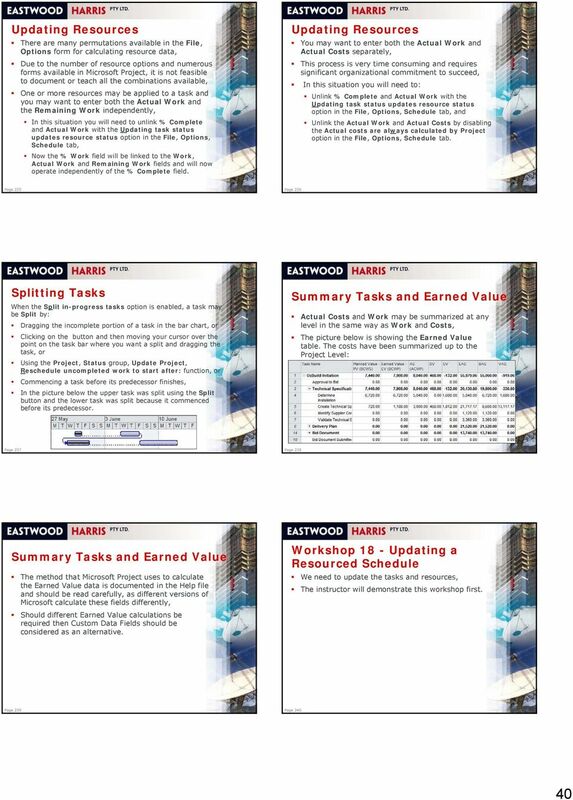 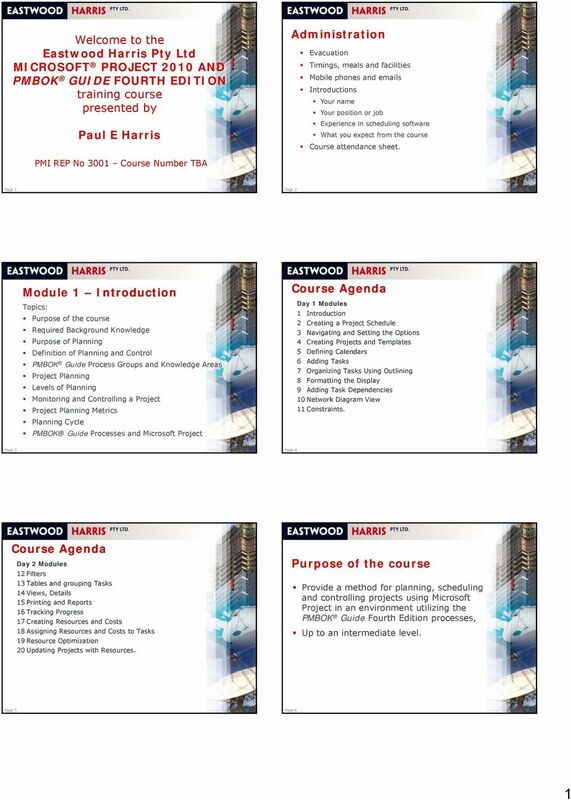 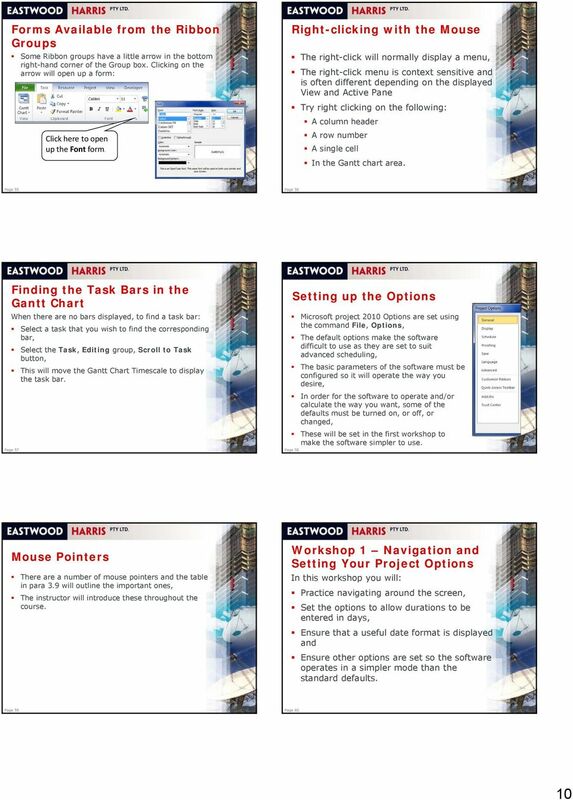 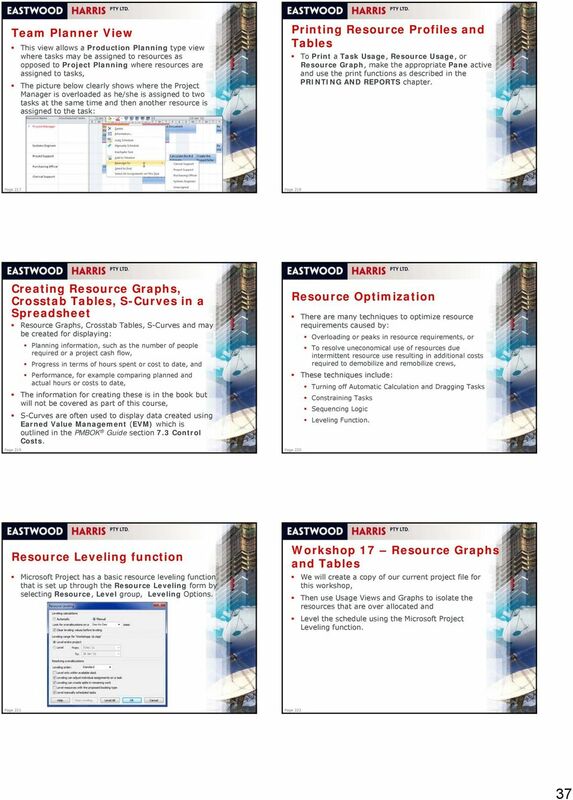 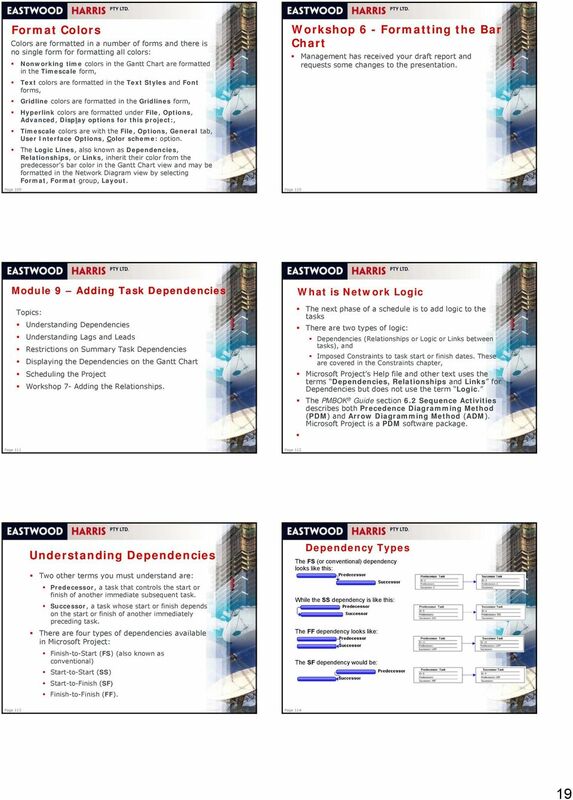 Welcome to the Eastwood Harris Pty Ltd MICROSOFT PROJECT 2010 AND PMBOK GUIDE FOURTH EDITION training course presented by"
Create task relationships by linking tasks. 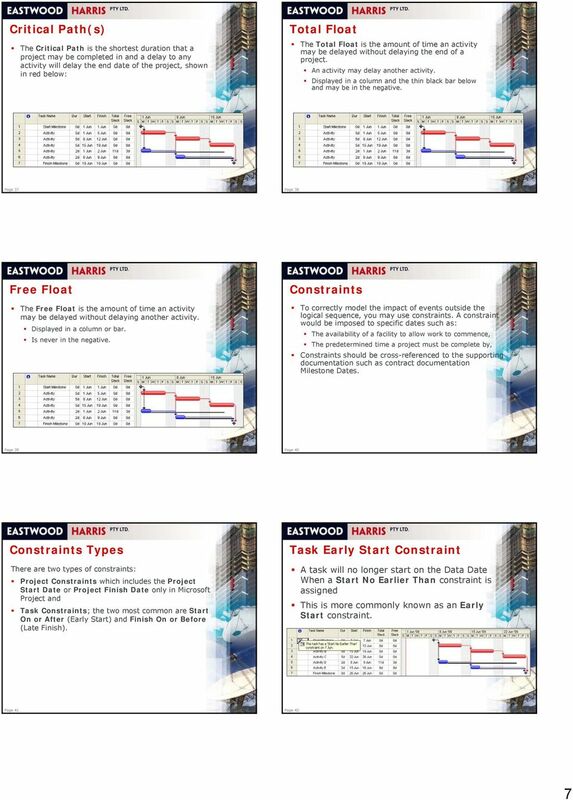 Switch task scheduling from manual to automatic. 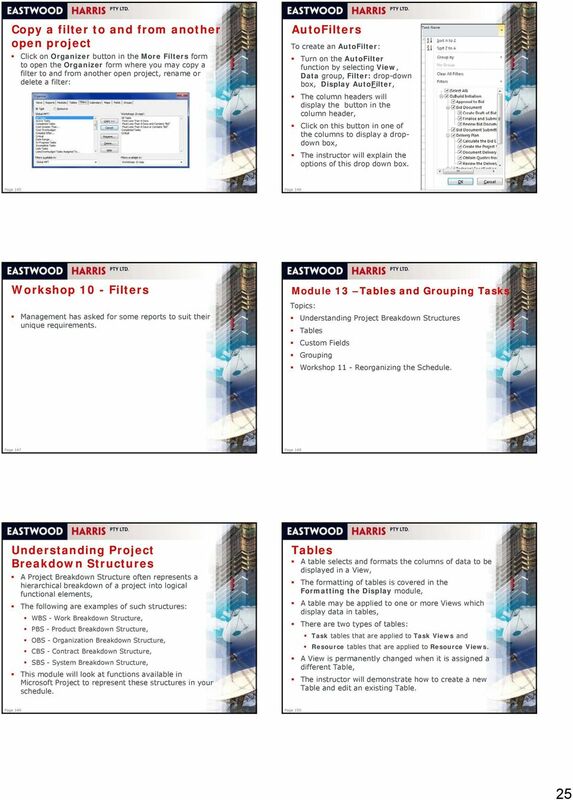 Set nonworking days for the project plan. 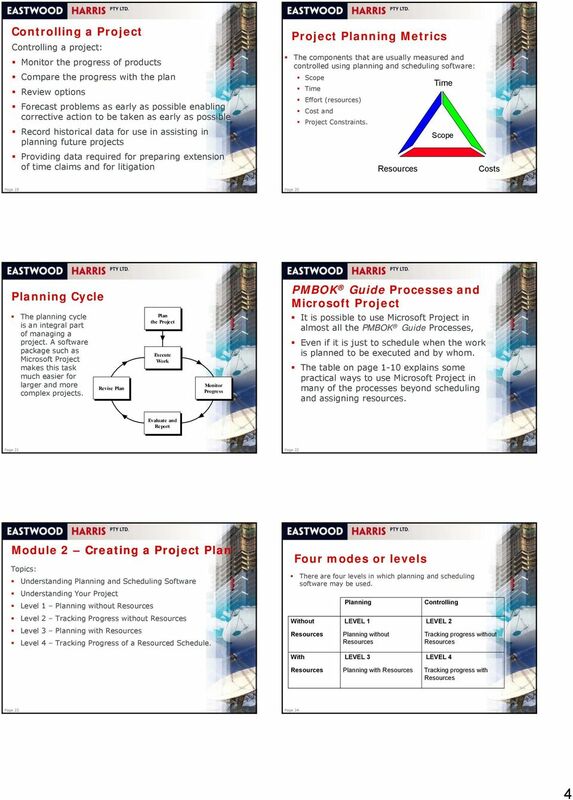 MS Project 2000 Tutorial: Introduction - Anjana Srikanth Stylus Systems is a Internet Technology company located in Bangalore India. 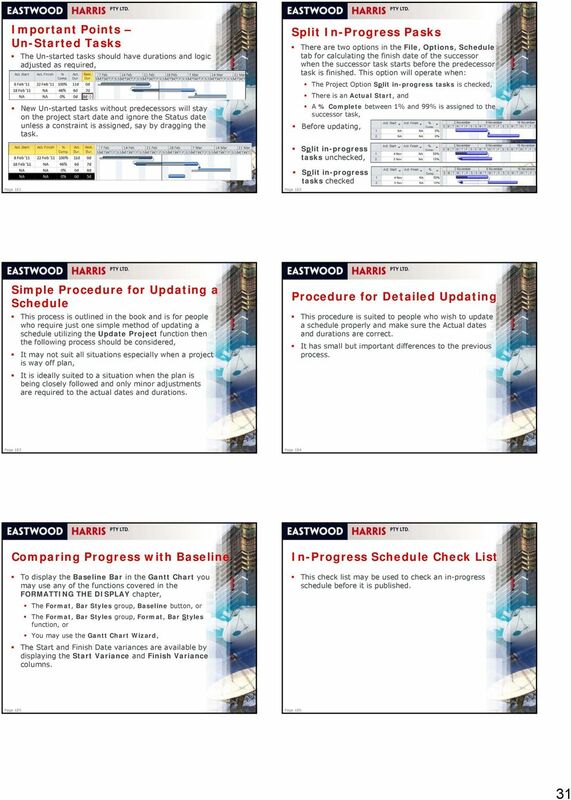 One of our mottos is "a quality process creates a quality product."